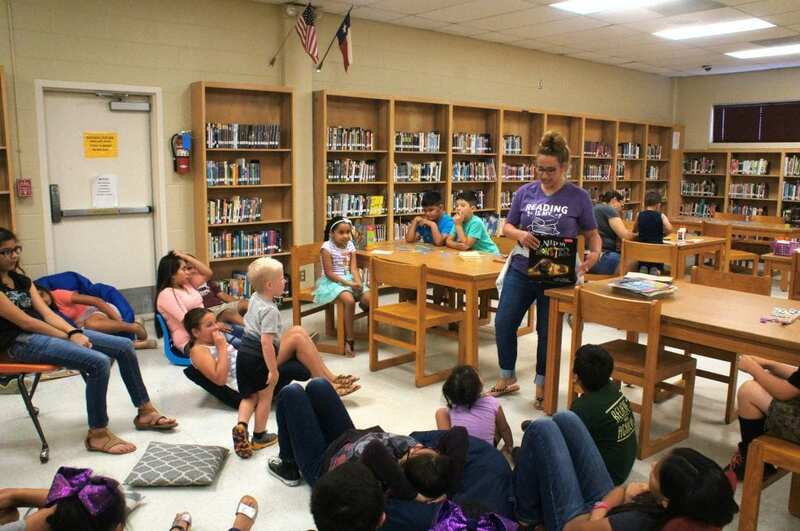 As part of a goal to instill a love of reading early on, the Poteet Junior High Library was transformed into Summer Reading Camp. 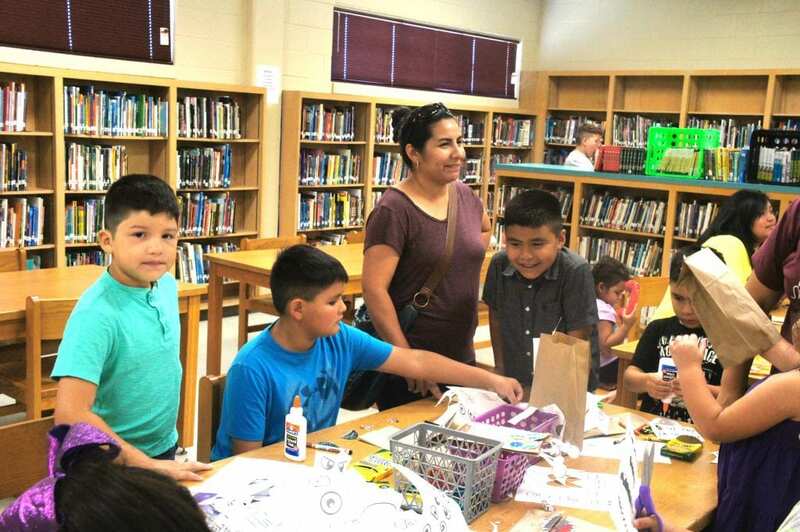 Thursday, June 8, marked the first day of the special program, explained fourth grade teacher Deidra Carnes. This is the first year they have held the program. 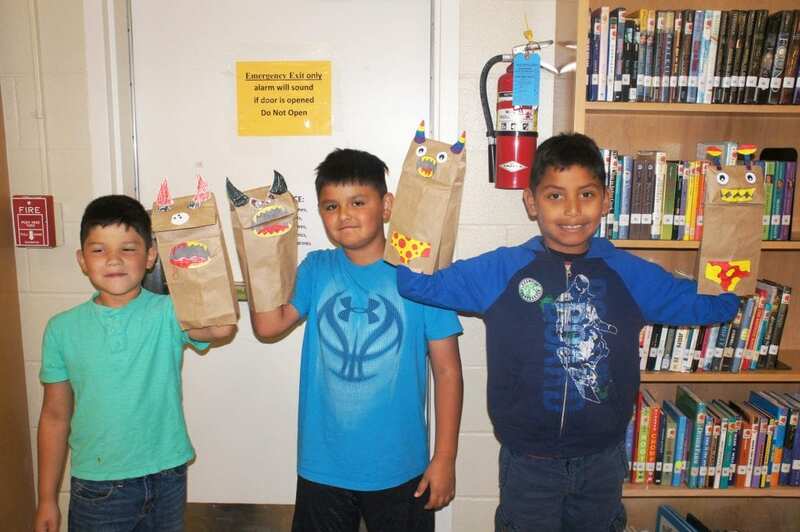 Carnes read the book I Need My Monster to the children, who then created monster puppets by decorating paper bags. She added that many children are hesitant to read. Some may even mistakenly believe that they do not like to read. Sometimes this is because they have not had the choice of finding out what they like to read. 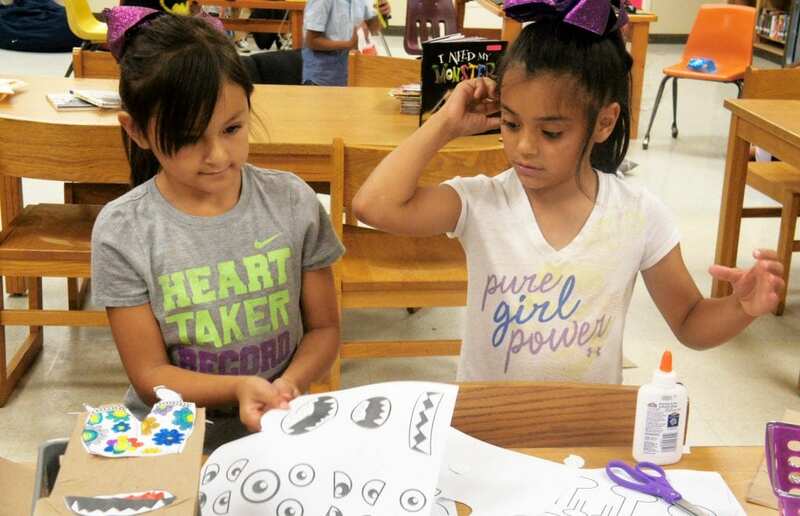 We want them to have a place to go where they can pick up a book with friends. Research shows that there is something called the summer slide. During the summer, academics decrease and sometimes halt, Carnes said. 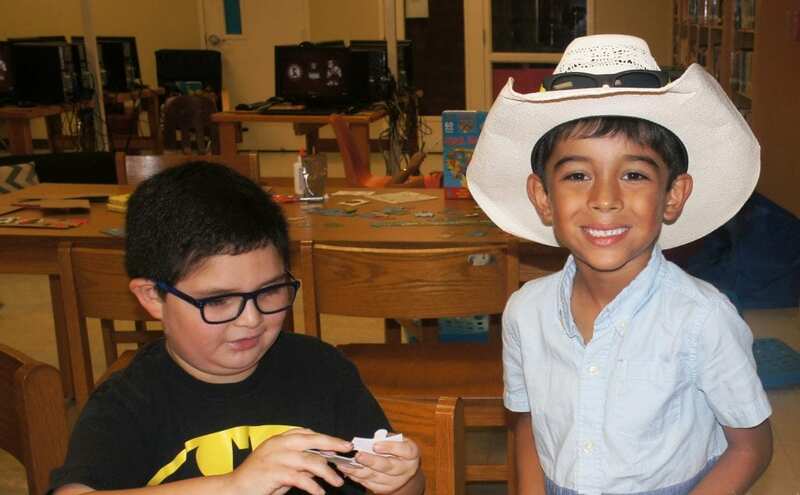 Reading programs like this one aim at preventing the summer slide, so all the work students did throughout the year is not lost. You need to maintain it and keep it fresh in their lives. It needs to be continuous, Carnes said. Carnes hopes to start a tradition and keep the program growing. She wants parents to tell them what they can do to improve. 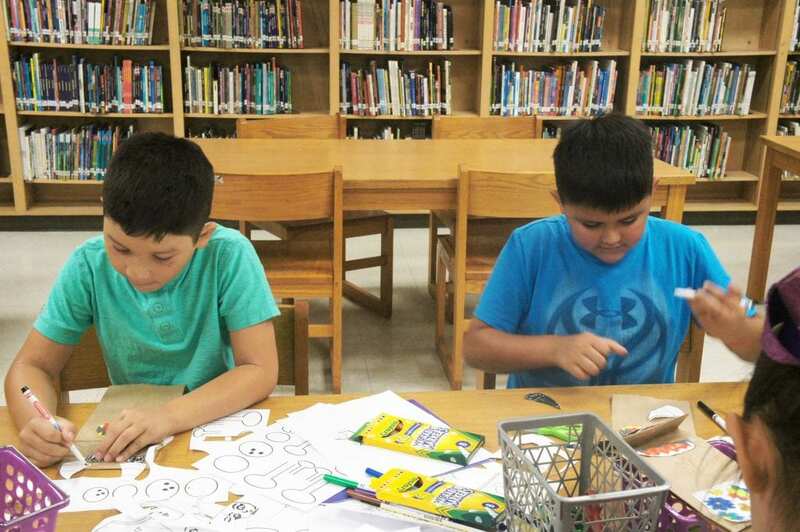 The Summer Reading Camp is the reading version of open gym time. It is free, laid-back and gives children of all ages many opportunities. 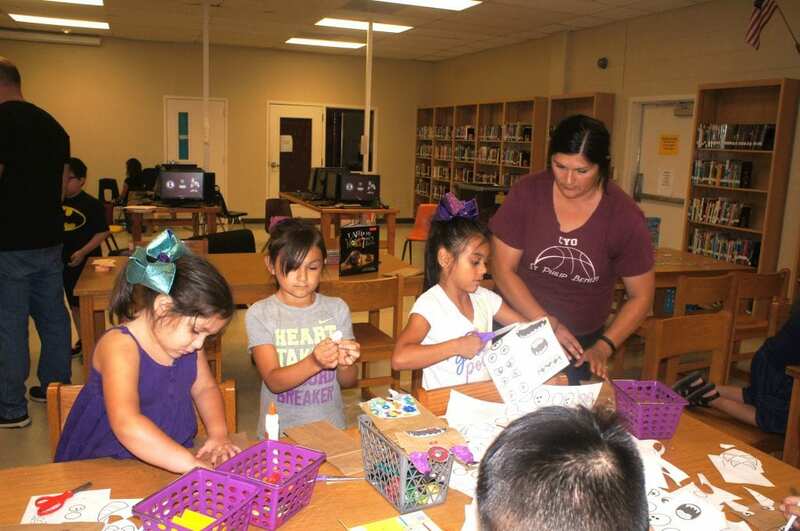 They can make puzzles and crafts, draw, visit with friends, read or listen to audiobooks. 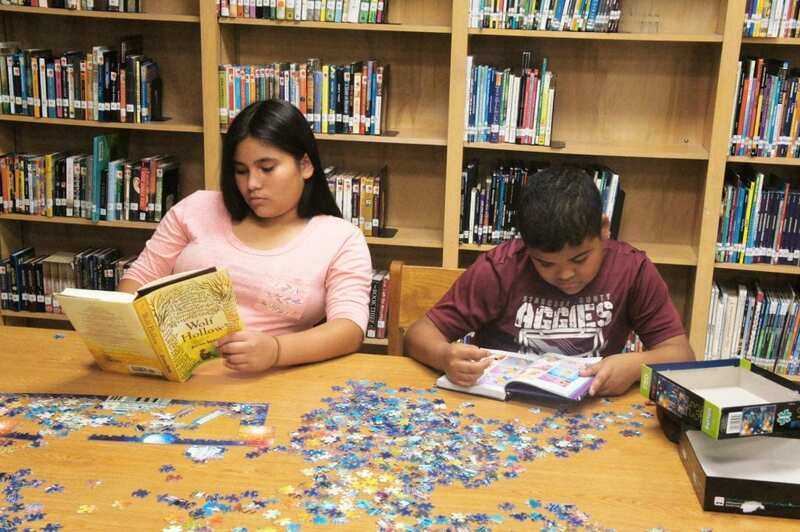 We want them to link reading and socialization and find their niche. They need to build that bond, Carnes said. The program will continue every Thursday until July 27, from 8 a.m. -2 p.m., with the exception of July 6. 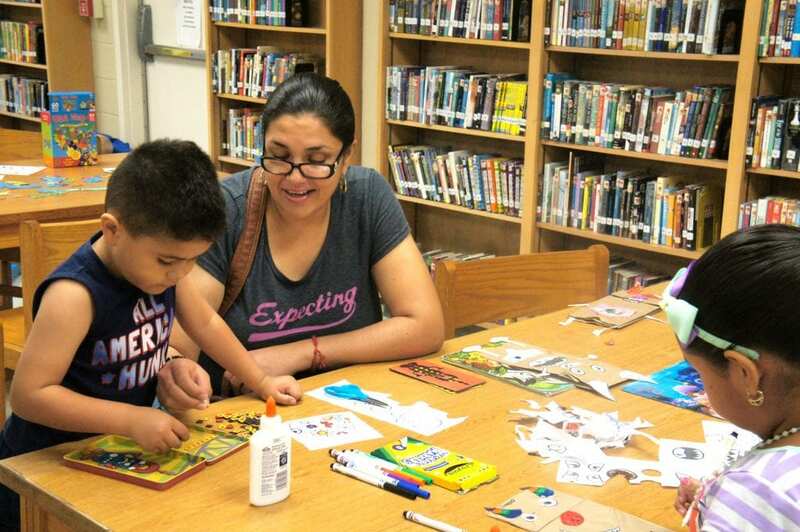 Story time and crafts take place at 10 a.m. and 1 p.m. Carnes also wants parents to know that their children do not have to stay for the entire day. Parents are welcome to bring their children for whatever length of time they can stay. 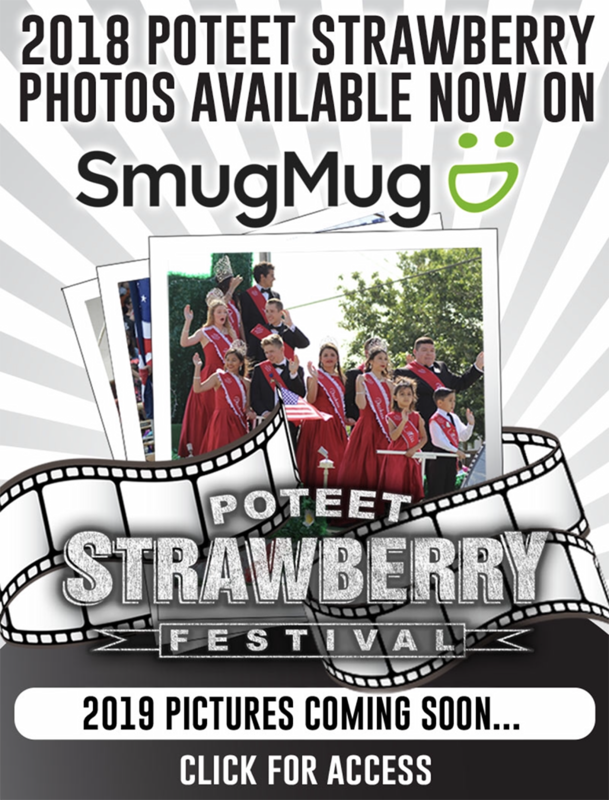 Children of all ages in Poteet and the surrounding areas are invited to participate. However, children under 10 must be accompanied by a parent.